The Philips Azur Steam Iron GC4537/86 features fast ironing thanks to 2400W, 200g steam boost and 45g/min continuous steam. A Long 2m power cord makes the Azur more convenient to use along with Quick Calc release in 15 seconds. Thanks to Philips' innovative design, the calc particles are easily broken and automatically collected in the removable calc container. The calc can be easily washed away in less than 15 seconds allowing great results over time. 2400 W for fast warm-up and powerful performance to get your ironing done quickly. Strong and consistent steam output penetrates more steam through fabric to remove creases faster. 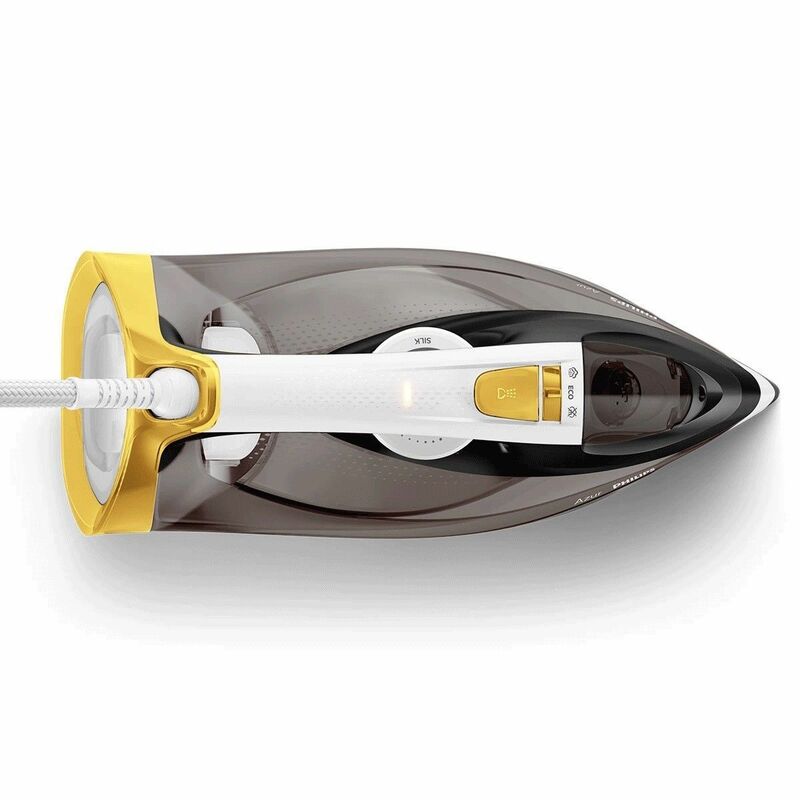 Press the steam boost button to trigger more steam to target deep-set creases faster. 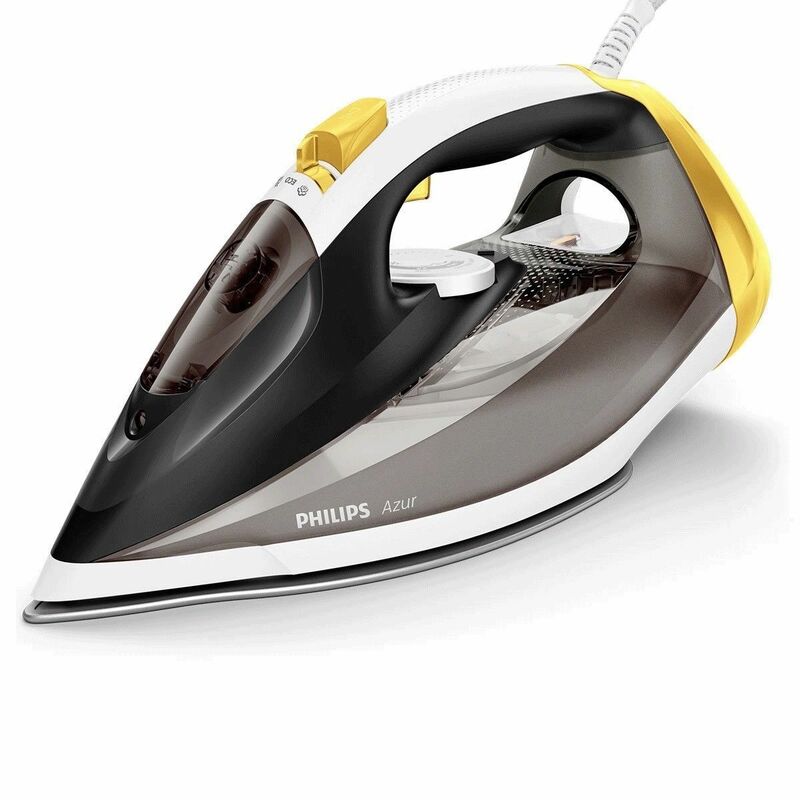 Philips’ SteamGlide soleplate delivers high standards in glide and scratch resistance for effortless ironing on all fabrics. 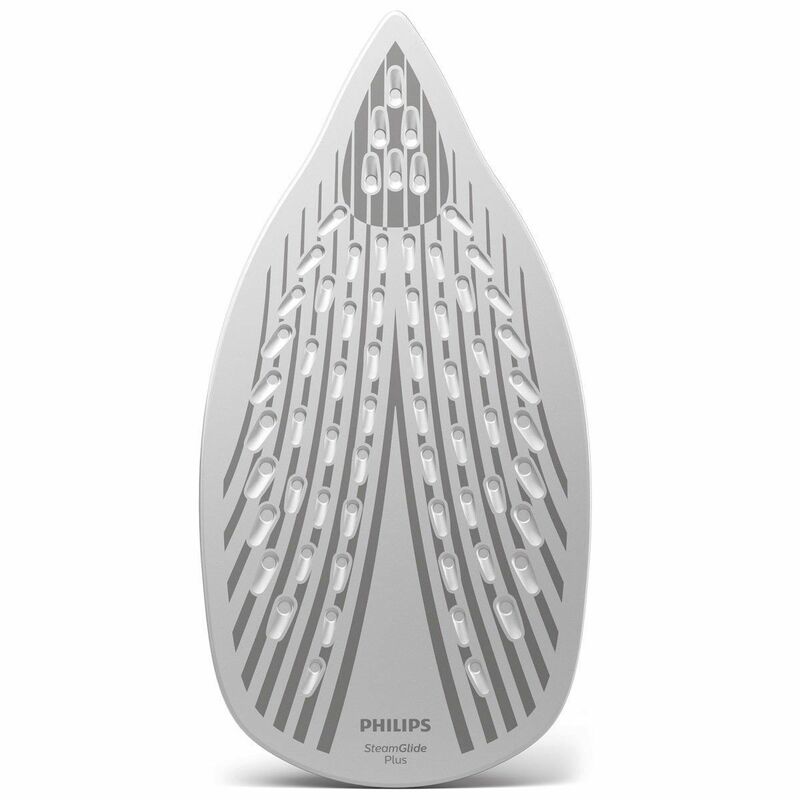 Philips' Drip Stop system lets you iron delicate fabrics at low temperatures with confidence. There's no need to worry about water droplets causing stains. 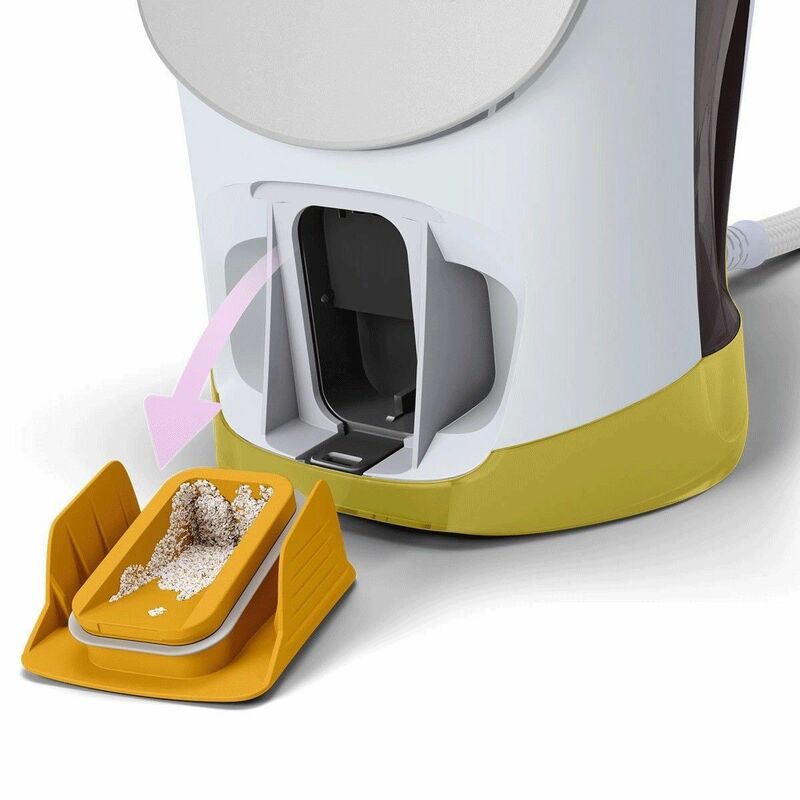 Philips' specially designed and built-in calc container collects calc particles during ironing. With Quick Calc Release, the container is easily removed and emptied in under 15 seconds for long-lasting steam performance every day.